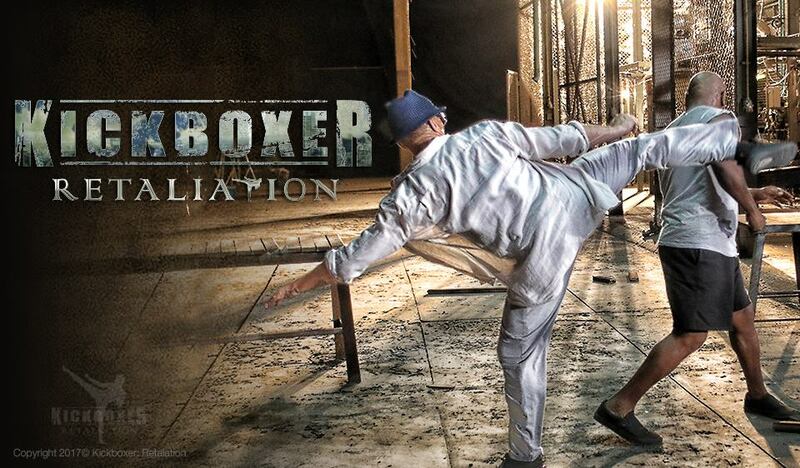 Kickboxer: Retaliation (2017) is expected in theaters this fall. The film continues where Kickboxer: Vengeance left off. In summary the action starts twelve months after Kurt Sloane, portrayed by Alain Moussi, left Thailand. He finds himself in a new quest, competing in MMA in the US. Vowing never return to the birth place of Muay Thai, he is illegally brought back by US marshals. Sloan appears in infamous prison in Bangkok, with the bounty placed on his head. He is forced to fight a new 2 meter, over 180 kg foe Mongkut (Hafbor Julius Bjornsson), or face a life time behind bars. Among others the cast includes Jean-Claude Van Damme, portraying Master Durand, and Mike Tyson as Briggs. 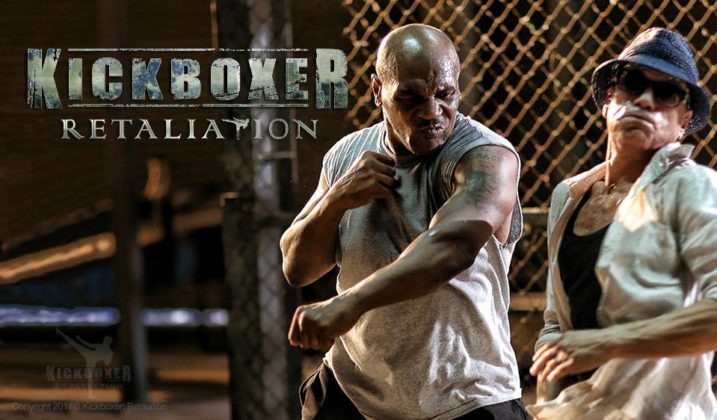 The trailer released earlier this month shows the Martial Arts legend out of Big Screen face off a former undisputed world heavyweight champion. JCVD delivers his roundhouse kick. Iron Mike returns the favor with his right hand. Several photos from the scene have also been posted on Facebook. JCVD is the original kickboxer Kurt Sloane out of the iconic movie (1989). Tyson continues his journey in film work which includes roles in The Hangover (2009) and Rocky Balboa (2006) among others. The cast features Christopher Lambert portrayes Thomas Moore, Sara Malakul Lane appears as Liu. In addition, Vale Tudo and MMA legend Wanderlei Silva plays Chud.